Stephen King and I are contemporaries. Our relationship goes back a long way to the days when as a very young working mum in the 70's I could be found lugging his tomes around the house in order to grasp every reading moment. He was the author who put compulsive in front of reading and I loved all his early books. Then he went in a direction that wasn't so much to my taste and we drifted apart and it's been a while since I've read any of his work. But I did like the sound of this story of Jake Epping, a young man who steps through a portal to a day in 1958 and eventually on a mission to change the course of history and prevent the assassination of John Kennedy. Several very positive reviews from bloggers convinced me to give it a try. 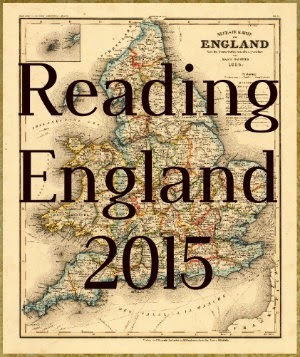 For readers of my generation it is less about time travel and more about a walk down memory lane. Back in the 60's New Zealand wasn't so influenced by the USA and I did have some initial doubts that references to American life would go over my head but I needn't have worried. The times when doors were left unlocked and milk came in bottles, the music , the dances.......ah,nostalgia! Younger readers may find the ordinary day to day 60's life of Jake a bit slow and drawn out but I loved it. And deju vu! I wasn't expecting to find myself back in Derry and the horror of It......the atmosphere of evil still creating shivers down my spine. Only one of several reappearances from earlier books and I probably missed some too after all this time. From there to Jodie, Texas where Jake takes up a teaching position meets and falls in love with the delightful Sadie, and becomes such a part of the community he begins to question whether he ever wants to go back to his own time. If I wasn't so interested in the Lee Oswald events it was only because I've read books on him and the conspiracy theories over the years . I'd forgotten what an amazing storyteller Stephen King is. I love the attention he gives to even the most minor characters so even days after the book was finished they're still vivid in my mind. And the way he transports the reader right into the story so you feel a part of it and sharing every experience. Awesome! Now I'm thinking I might have missed other more recent titles - Lisey's Story and Duma Key - that I'd like. This could turn out to be a Stephen King year! Glad you found it to be a great read. This was my first experience with Stephen King, and while his other books may not be for me, I can wholeheartedly recommend this one. The time travel element and Kennedy connection interested me. Yay, I'm so glad you are part of the project. I'm glad you enjoyed this one. 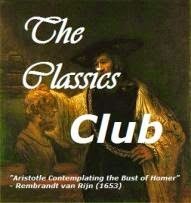 I haven't read it yet but I've read consistently positive reviews of this one so I know I need to get it read in 2012! I'm sure you'll love it, Kathleen. 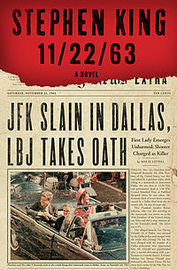 11/22/63 sounds like a wonderful book! I enjoyed your review; your enthusiasm is contagious. Thanks Suko and I hope you'll visit again. I'm not a big Stephen King fan in general. I guess I usually equate him with horror, but this is one I think I might enjoy. I think this one stands apart from his others and I'm sure you'd enjoy it. I've been thinking about tackling this massive book. I've heard nothing but good things about it, and after reading your review, I'm sold! I agree with what you said about King being a great storyteller. But this is another one of his books which I liked less for the plot and more for the amazing characters! I love that you've reviewed 11.22.63 for 'something on a calendar' in the What's in a Name challenge; it does fit perfectly!